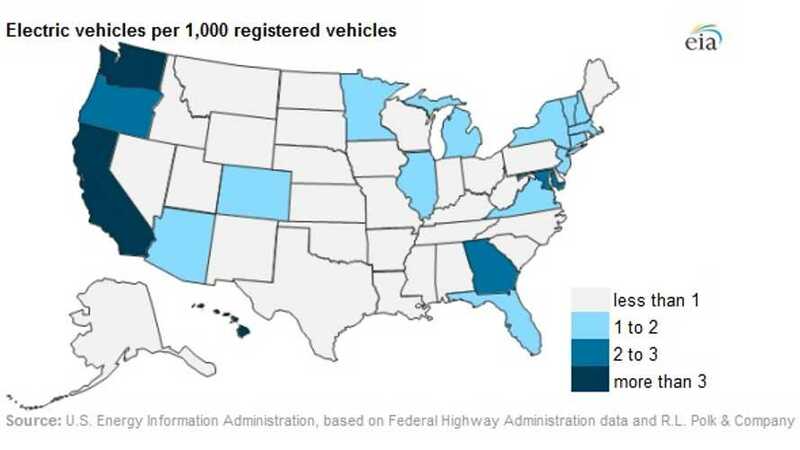 Welcome to California...The "Plugged In State"
Today in Energy recently released an electric vehicle density map for the US, which shows how many plug-in cars are registered per 1,000 registrations. The leaders are California, Washington and Hawaii exceeding 3/1,000 (California already is at 5/1,000), while Oregon, Maryland and Georgia are between 2 and 3 per 1,000. California lead also in other rank, as almost half of all plug-in registrations comes from California. Average share for plug-in car sales was at 0.4% in 2012, 0.6% in 2013, and 0.7% so far this year, so the numbers of 0.1-0.3%of total registrations will go up. California offers rebates of up to $2,500 for EVs that run only on a charge, and $1,500 for PHEVs, which can also run on gasoline. Washington has exempted EVs from the state's 6.5% sales and use tax. However, the incentive does not apply to the purchase of PHEVs. While PHEV ownership is higher than that of EVs for the United States, the reverse is true in Washington. Georgia offers a zero emissions vehicle (ZEV) tax credit of 20% of the cost, up to $5,000. ZEVs include vehicles powered by electricity or hydrogen fuel cells. Maryland offers a tax credit of $125 for each kilowatthour of battery capacity of an EV, up to $3,000. Many EVs have a battery capacity sufficient to obtain the full credit. PHEVs have a lower capacity and therefore secure a lower credit; the state estimates that a consumer purchasing a plug-in Toyota Prius would get a credit of $550. The District of Columbia has a tax credit of 50% of the incremental cost of an EV, up to $19,000. The District also exempts EVs from its excise tax, which varies from 6% to 8% depending on vehicle weight. Some utility companies offer special electricity rate structures for PEV owners to incentivize vehicle charging during off-peak hours, generally in the evening. For instance, DTE Energy in Michigan offers customers discounted electricity rates at off-peak hours if they install a 240-volt Level 2 charger, which powers a PEV more quickly than a 120-volt Level 1 charger. The ratepayer must also install a separate meter dedicated to the PEV. Customers also have the option of paying a flat $40 monthly fee for charging. 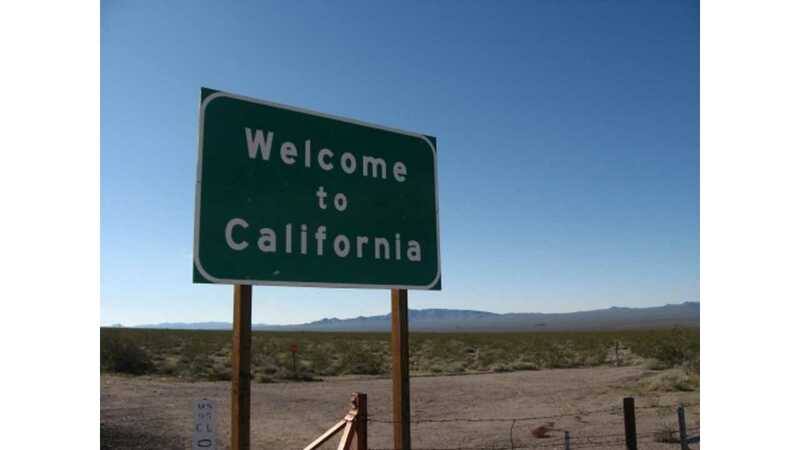 California implemented a ZEV mandate that requires automobile companies to produce for sale a certain percentage of zero emission vehicles, such as electric and hydrogen fuel cell. By 2025, approximately 15% of all new light-duty vehicles sold in the state must be either electric or fuel-cell powered. Nine states have agreed to follow California's ZEV mandate: Connecticut, Maine, Maryland, Massachusetts, New Jersey, New York, Oregon, Rhode Island, and Vermont. These ten states represent close to one-quarter of the U.S. light-duty vehicle market.